There are many contaminants being found in municipally treated water today that were unheard of just a few years ago. Even well water is showing signs of dangerous substances leaking into the water table. This may be caused by pollution, fracking, contaminated waste dumps, or various other reasons. Eliminate unnatural fluoride (manmade industrial/manufacturing waste byproduct). This fluoride is dangerous, unhealthy, and provides no benefit from consumption. It is up to 10,000 times more absorbable than natural fluoride and has been connected in studies to lower IQ, tooth enamel mottling, thyroid dysfunction, and many other adverse health effects. Click here to read more about the hazards of Fluoride. Eliminate chlorine and chloramines, both known to be carcinogenic (cancer causing). Our top-quality membranes filter out contaminants as small as .0006 microns which is smaller than bacteria and nearly every virus! Your family will have peace of mind every time you enjoy your great tasting water. 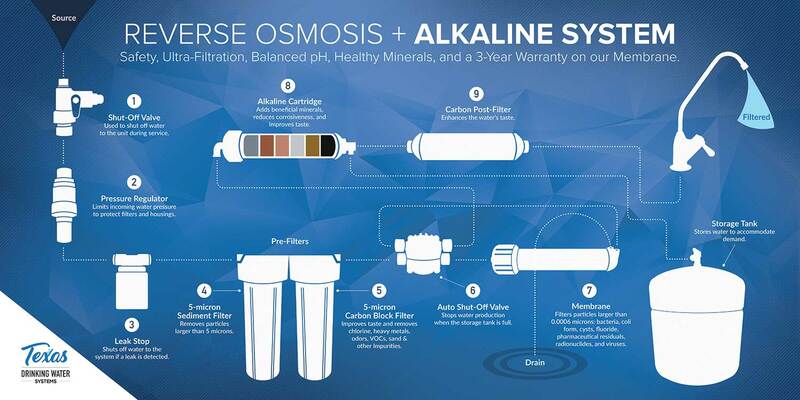 Click here to see what is removed from your water using Reverse Osmosis. Lowers the ORP of the water, giving off vast amounts of free electrons that bind to free radicals in your body. Free radicals are known precursors to cancer. It has been documented that cancer can begin to thrive at +30 mV. Enagic ® systems can reduce the ORP of water to -800 mV and below, creating countless beneficial antioxidants in the process. Infuses dissolved molecular hydrogen into your water. In 2007, Nature Medicine published a study by Dr. George Ohsawa. He concluded that “hydrogen acts as a therapeutic antioxidant by selectively reducing cytotoxic oxygen radicals.” Since 2007, more than 500 scientific studies and review papers have been published on this topic. Ingesting H2 has been found to be beneficial for the treatment of more than 150 human diseases. Can produce 2.5 pH water which is excellent for killing more than 100 different types of bacteria and infections. Can produce 11.5 pH water which can be used for removing pesticides from food, stains from clothing, as a replacement for laundry detergent and several other applications. Can produce 6.0 pH water, pH balanced for human skin and can be used for beauty treatments. Bring a water sample to our store and we’ll test your water. Click here for hours & location. Please note that we can only test for sulfur onsite. You should already know if you have a sulfur issue. If you don’t smell it (rotten egg), you probably don’t have a sulfur issue. To test chlorine, we need to receive the sample within 60 minutes from the time it was drawn. Bring us at least eight ounces of the water you would like tested in a plastic water bottle. If you want us to test your chlorine levels, please squeeze all the air out of the bottle (the water will start overflowing) and then tighten the lid to create a vacuum. Put the water sample on ice and bring it to us within 60 minutes. 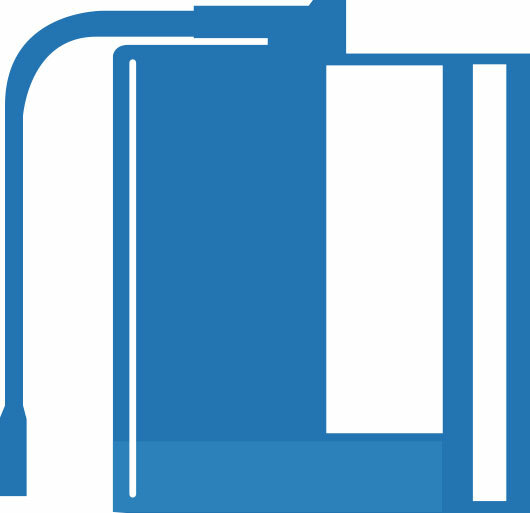 PLEASE NOTE: The full testing fee will be credited toward any system purchase of $500 or more.